“When I started working here in the early 2000s, I had a pretty macho employee,” says Camille Nosworthy, surveying her estate, Domaine Saint-Amant. “I knew nothing about wine and he was always asking me questions like, ‘Why did you decide to harvest the grapes now?’ or, ‘Don’t you think you should do that instead?’. 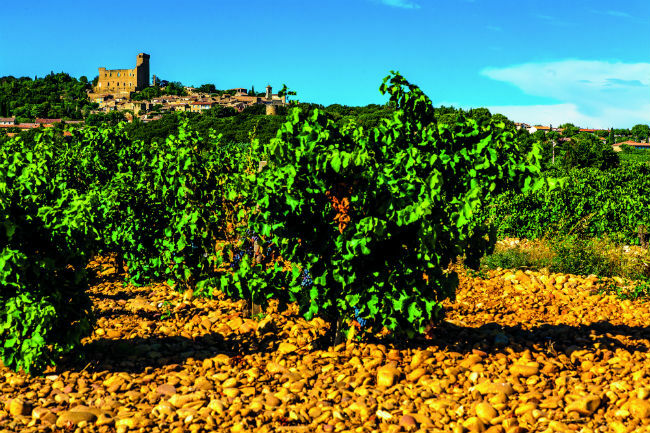 He was very happy to tease me because I was a woman,” adds Camille, whose domaine in the heart of the Dentelles de Montmirail dominates the southern part of the Rhône Valley. 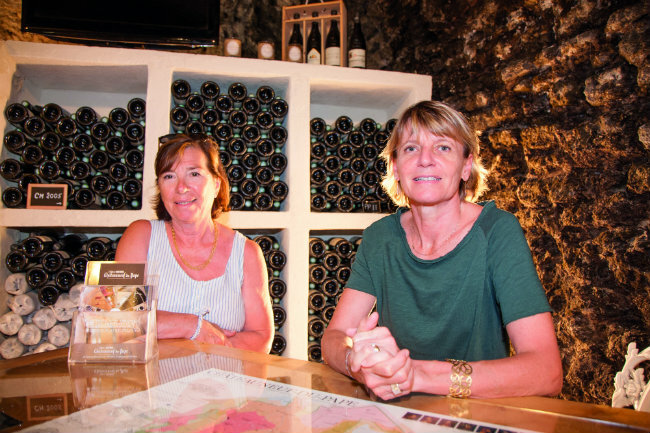 These women belong to the nation’s female winemakers’ associations – a powerful public voice which, since the early 2000s, has helped establish the visibility and presence of women in the world of wine in France. Until two decades ago, they were relegated to near-darkness or confined to a role of support for their husbands – helping with agricultural work, dressing bottles, or doing secretarial or marketing work. Today the situation is very different. 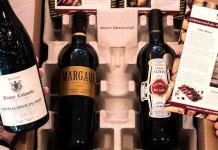 Coming from very diverse backgrounds, they often oversee large-scale operations, coordinate largely male teams, and play an integral part in the elaboration of the wines and the commercial and strategic management of their company. 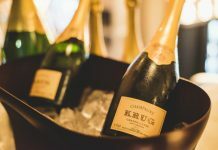 While accurate statistics are not available, it is estimated that they account for about one third of the approximately 50,000 heads of French vineyards, compared with 14 per cent 20 years ago. Most importantly, today almost all the major wine regions of the country have their own local association of female winemakers. They often bear evocative names such as Les Divines d’Alsace, Les Fa’bulleuses de Champagne, or Étoiles en Beaujolais; but one of the most influential, of which Camille is a member, is undoubtedly Femmes Vignes Rhône. Founded in 2004, Femmes Vignes Rhône brings together 30 members spread over the vast territory of the Rhône Valley vineyards, from the south to the northern tip, near Lyon. 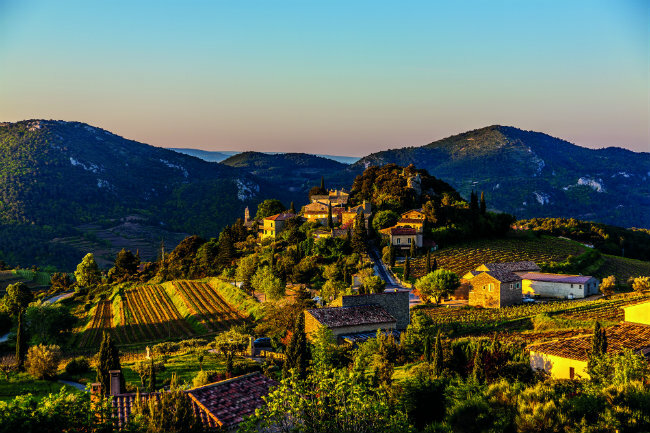 It owes its existence to winemaker Anne Hughes, who became the epitome of the “invisible vigneronne” when she inherited the Domaine de la Royère, in Oppède, Luberon. 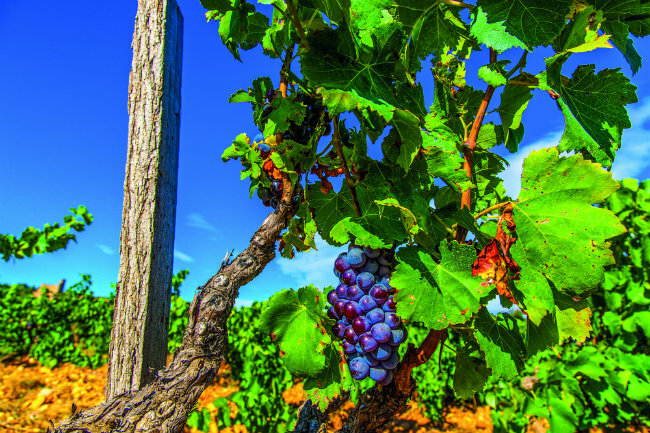 With the support of Inter-Rhône, the commercial arm of the Rhône Valley wines, Anne Hughes created Femmes Vignes Rhône, pronounced as femmes vigneronnes – “female winemakers” (the pun is sadly lost in translation). From just a dozen members Femmes Vignes Rhône quickly grew and, crucially, the idea snowballed from there. Today, almost all French wine regions have an association of this type. There is even a national federation, Cercle Femmes de Vin. Created in 2009 by a member of Étoiles en Beaujolais and a member of Femmes Vignes Rhône, the federation has some pretty ambitious objectives: to make the voices of women in the wine industry heard, and to get involved in ministerial or governmental bodies and professional organisations. Françoise agrees: “Our wines are not feminine. We make our wines with our hearts and our guts. But the terroir and the vintage ultimately have more importance. I think the feminine touch exists more in the way we work but, in the final result, I challenge someone to determine out of ten wines if any one was made by a man or by a woman. In addition, in our teams, there are also men. So we cannot simplify things that way.” With a few exceptions, running a wine estate, large or small, remains a team effort. 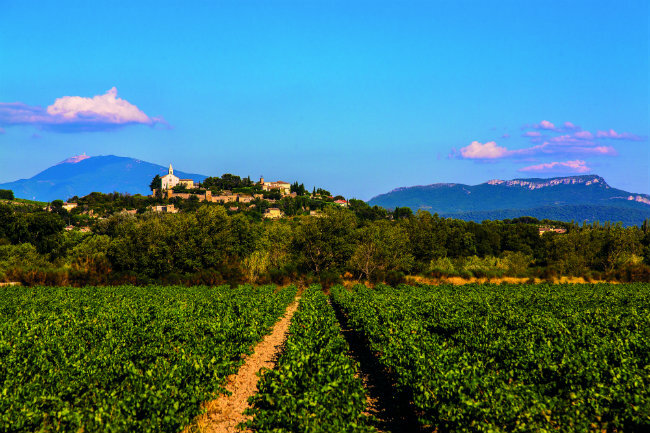 In Cairanne, a village located between Orange and Vaison-la-Romaine, Sabine Thompson and her English husband, Nick, have been taking care of the vineyards of their Domaine de l’Ameillaud for 20 years. 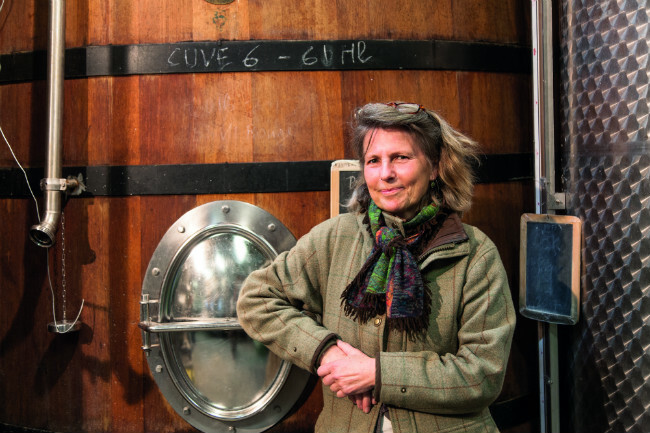 “It’s Nick who makes the cuvées,” explains Sabine, another member of Femmes Vignes Rhône. “But I share the whole day-to-day life – that is to say, everything we have on our shoulders when we are just a few days away from the harvest or when we scrutinise the weather in the spring for the frosts. 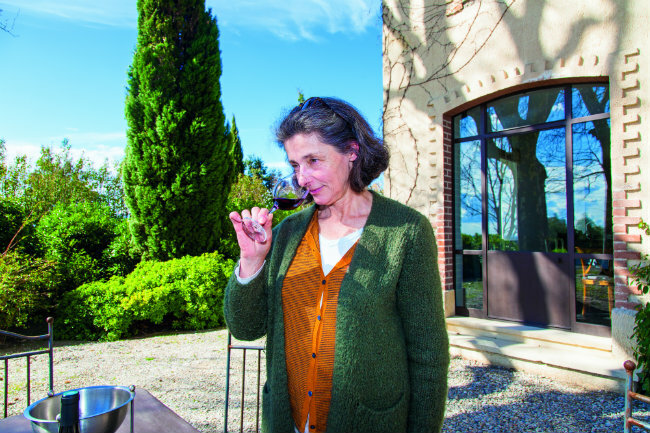 My wife, two friends and I had the privilege of a tour and tasting with Françoise Roumieux a couple of years ago at her domaine–we had been introduced through a mutual friend. She could not have been more generous with her time. I was impressed both by her deep knowledge of wine and her commitment to her craft (her wines are excellent) but also by her outstanding business acumen. The hours she spent with us are remembered with great pleasure.